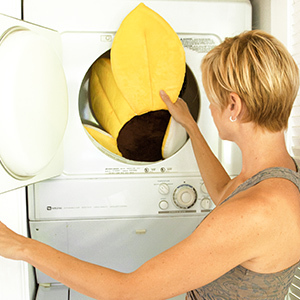 Made from incredibly soft, cuddly materials, the Lotus Baby Bath petals hug any sink to create an adorable, safe, fun and convenient bath time experience for your most precious litle one. 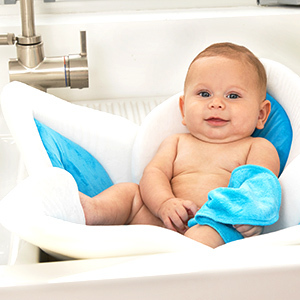 The easy drying plush materials cradle and cushion your baby like no baby tub can, offering ultimate comfort for your child during bath time. 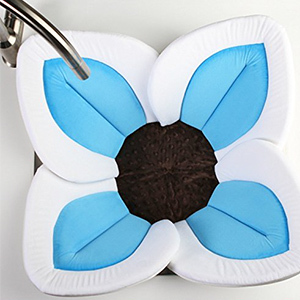 Once your baby out grows, the Lotus Baby Bath can be used at bottom of the traditional bathtub to have cushion for baby. Don't run water directly on baby, as temperate could change without notice.